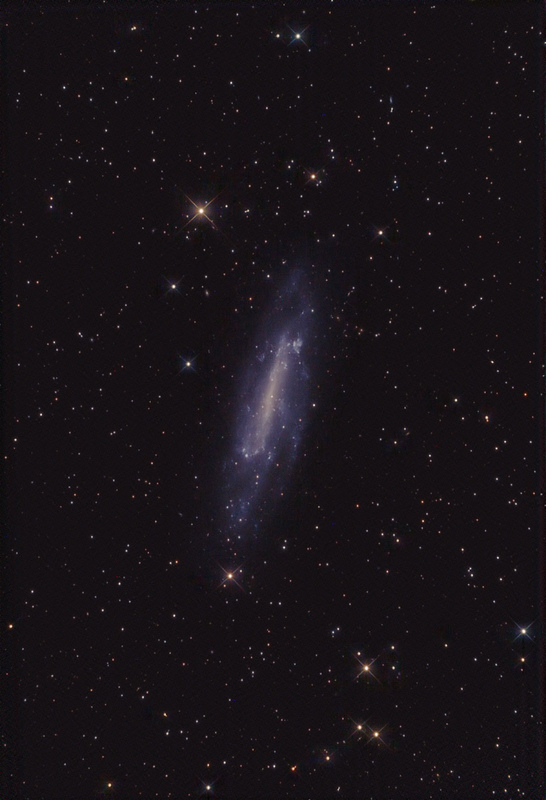 NGC 4236 is an apparantly large, barred spiral galaxy in Draco of low surface brightness, seen at an oblique angle not far from edge-on. It measures 22.9 x 7.2 arcminutes in the sky. NGC 4236 is probably a member of the M81 group of galaxies. Its distance amounts to 11.7 million light years. The central bar of this galaxy is well defined, and the spiral arms contain many "knots" consisting of huge star clusters with ongoing star formation. Lots of small background galaxies can be found within this image if you look closely. Remarks: Fine new observation site. Read an Observation Report about the night (in German).